Derelict fishing gear continues to plague the depths of Barnegat Bay. Often lost through storm events or due to boat traffic, lost or abandoned crab pots (ghost pots) become an unintentional deathtrap for a variety of marine species and reduce otherwise harvestable resources. CWF and their partners at MATES, Stockton, and ALS have been working to recover lost pots in Barnegat Bay since 2015. Over the course of the last three field seasons, 1,300 crab pots have been recovered and their bycatch has been extensively documented. Notably, CWF and MATES have been focusing on how to further help northern diamondback terrapins who often find themselves caught in ghost pots. In 2016, one pot contained the remains of 17 terrapins. A saltmarsh sparrow photographed in Delaware. Credit: Matt Tillett, creative commons. Even if you’re not a birder, there are a lot of reasons to care about birds. There are of course their aesthetic qualities — beautiful, charming, euphonious — and their incredible feats of survival as small creatures in a big, ever-changing world. But like the proverbial canary in the coal mine, when birds aren’t doing well it usually means their habitat is suffering in some way. And if the habitat isn’t functioning, people lose out too; on the benefits that nature provides, from clean air and water to storm defenses. In the wake of Hurricane Sandy, the Fish and Wildlife Service invested in restoring and protecting natural systems up and down the East Coast that provide important habitat for wildlife while also creating natural defenses for people. A big part of building this stronger coast is making sure that wildlife like shorebirds have the habitat they need — the marshes, beaches and dunes — to nest, feed and raise their young. Here are stories of how restoration efforts are helping ensure a brighter future for three bird species — red knot, piping plover and saltmarsh sparrow. 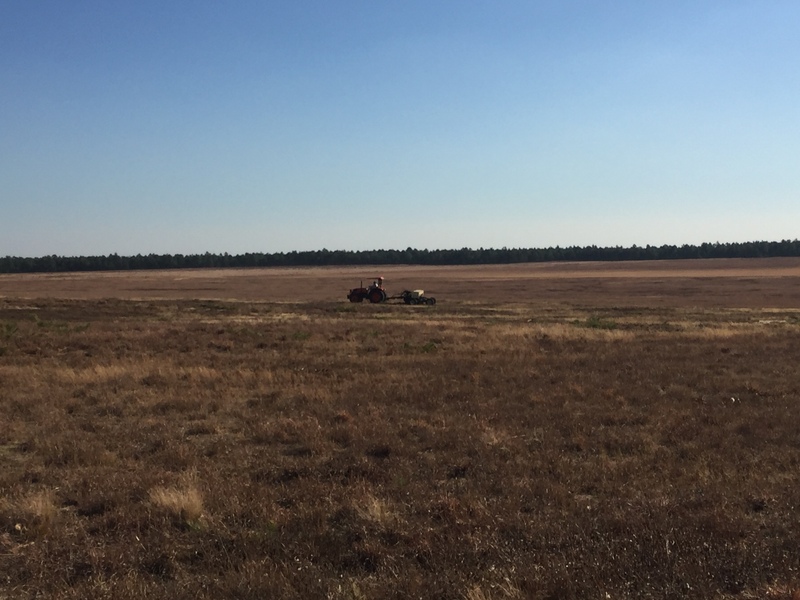 In Part I of this series, I discussed the drastic loss of grasslands in New Jersey and the importance of preserving and restoring this disappearing habitat for grassland-dependent bird species. Due to this habitat loss, in much of the northeastern United States (including New Jersey) airports have become significant breeding grounds for many threatened and endangered grassland birds. In fact, airports are often the only suitable habitat available for New Jersey’s rarest grassland bird, the upland sandpiper. If these large expanses of open fields are managed properly, they can support nesting birds while still remaining safe for aircraft operation. This is the goal of CWF’s new restoration project at one of the most critical breeding sites in New Jersey. Restoration site at Lakehurst breeding grounds, December 2017. Photo by Meghan Kolk.